In the Ranks by George Sims and Henry Pettitt. Scenery by Walter Hann and Bruce Smith. 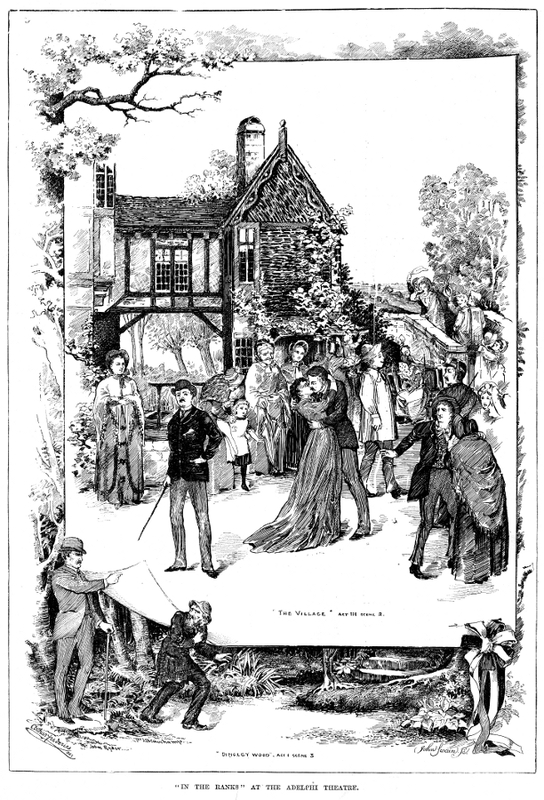 The graphic shows a drop curtain (cloth) of the village in Act III, ii in front of Dingley Wood of Act I, iii. John Ryder played Colonel Wynter and John Beauchamp, the hop picker.